Nero ShowTime for Windows 10 - utility to play digital audio and video files. Allows you to run TV programs, movies, recognizes various media formats. The option to change the resolution, processing objects in batch mode is supported. There is a reminder option, in which the application notifies the user about the readiness of the new series (subtitles) to exit. There is a function of looping fragments, many shells, automatic correction of audio track delays. 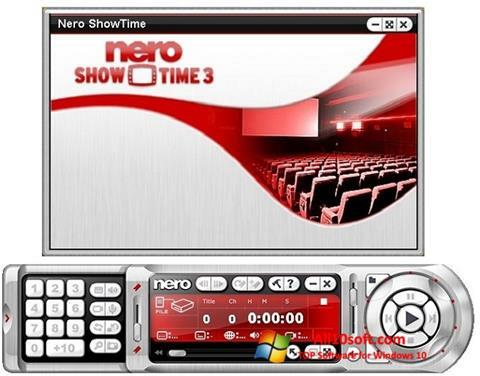 You can free download Nero ShowTime official latest version for Windows 10 in English.